WP Fusion integrates with the s2Member membership platform to keep customers in sync between your membership site and your CRM. All new users who register via s2Member or purchase a membership will be instantly added to your CRM, with all data provided at registration (including support for custom fields). Future updates to a user’s profile will also automatically be synced, based on the fields configured in the WP Fusion Contact Fields settings. 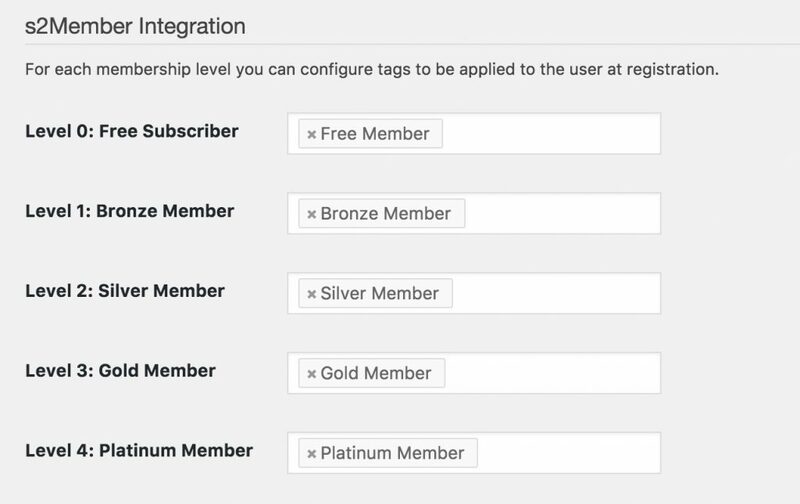 WP Fusion also lets you associate s2Member membership levels with tags in your CRM. When a user purchases or signs up for a membership level, the corresponding tags will automatically be applied. You can use these tags to trigger follow up sequences and other automations in your CRM. Tag configurations for membership levels can be accessed under the Integrations tab of the WP Fusion settings page.